Health Corner For All Health Tips HEALTHY DIET How Much Do You Know about Probiotic Foods,Supplements -uses,benefits,side effects? आजकल बाजार में बहुत से food प्रोडक्ट्स मिलते हैं जिन पर लिखा होता है Probiotics Products, Probiotics food, Probiotics drink या Probiotics supplements क्या आप जानतें हैं कि क्या होते हैं ये Probiotics और इनकी क्या उपयोगिता है हमारे लिए? आइये देख लेते हैं-How Much Do You Know about Probiotics Foods, Supplements-uses, benefits, side effects? What Are Probiotics? / क्या होते हैं Probiotics? The World Health Organization (WHO) ने 2001 में Probiotics को इस प्रकार से परिभाषित किया कि -Probiotics as live micro-organisms that, ".when administered in adequate amounts, confer a health benefit on the host." beneficial microorganisms का उपभोग करने से लोगों के स्वास्थ्य में सुधार हो सकता है।"
Probiotics कैसे कार्य करते हैं -उनकी कार्यप्रणाली / How Probiotics Work? Nowadays, many food products are available in the market, which is written on Probiotics Products, Probiotics food, Probiotics drink or Probiotics supplements. Do you know what are these Probiotics and what are they useful for us? Let's take a look-"How Much Do You Know About Probiotics Foods, Supplements-uses, benefits, side effects?" The World Health Organization (WHO) defined Probiotics in 2001 as "Probiotics" as live micro-organisms that "..when administered in adequate amounts, confer a health benefit on the host." Probiotics are those living microbes or bacteria, whose purpose is to give benefit to our health. Probiotics play a very important role in keeping our whole body and mainly the digestive system healthy. Although people often consider bacteria and other microorganisms as harmful "microbes", but many microorganisms, bacteria, and yeast serves as beneficial ones and helps our body functions to run smoothly and make our body healthy. For example, bacteria that are present in innumerable amounts of our intestine helps to digest and absorb food, destroy harmful pathogens and microorganisms, and also helps in Production of vitamins. these Probiotics products are similar to those microorganisms that live naturally in large numbers in our body. The concept behind Probiotics was introduced at the beginning of the 20th century, when the Nobel laureate Elie Metchnikoff, who was known as "Father of Probiotics," proposed it. He had said that "Consumption of beneficial microorganisms can improve people's health. " Researchers continued to investigate this idea, and the word "probiotic " - which means - "use for life" came into existence. Many types of bacteria or microorganisms can be classified as Probiotics. But they can mainly be divided into two broad groups- -Lactobacillus and Bifidobacterium. Apart from this, other bacteria can also be used as a Probiotic, one of which is called Saccharomyces boulardii, which is only in the category of Probiotic. And all of them also have different benefits. 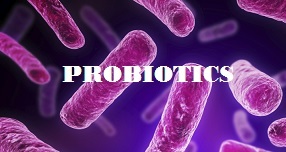 But it is very important that you consult your doctor, which probiotic will be beneficial for your health. This is the most common probiotic that is often used in experiments. Lactobacillus is found in curd and other fermented food items. Different species of lactobacillus help in dealing with diarrhea. Those people who have lactose intolerance (means it does not get digested in such people)- milk in sugar -responds very effectively with probiotics. It is also an anaerobic non-motile bacteria that is found in our body in the mouth, intestines etc. It is found in some dairy products and mother's milk too. It helps in reducing symptoms of Irritable bowel syndrome(IBS) and Ulcerative colitis. It is a yeast that helps in fighting diarrhea / loose motions and also very helpful in other digestive problems too. caused by the antibiotic, irritable bowel syndrome, and inflammatory bowel disease. helps us to fight the common cold. Scientists are researching on other positive effects of Probiotics on the body. Every bacteria have its own distinct effect on health. At the same time, all Probiotics are not same, like one species of Lactobacillus is able to prevent any specific disease, but it does not necessarily mean that the other species of Lactobacillus or other Probiotics like Bifidobacterium give the similar effect in that disease. Generally, in healthy people, consumption of Probiotics remains safe. More often they do not have any significant side-effects, very few people sometimes get complaints about light digestion related symptoms like gas, etc. But critically ill patients, including those with surgery, very sick babies, and people with weakened immune systems sometimes have serious side effects. So in this article- "How Much Do You Know About Probiotics Foods, Supplements Uses, Benefits, Side Effects?" we can conclude that Probiotics are very beneficial for our body. rich in Probiotics But at the same time, take the probiotics on the advice of your doctor so that you can enjoy the benefits of Probiotics Foods and Supplements without having any side effects.